The triple crown of bocce. A hallowed competition that tests your skill, durability, stamina, and ability to adapt. Its amazing how something as simple as throwing one ball close to another ball can do all that! The Syracuse Italian Fest – a 4 on 4 competition played in a court where only rolling is allowed. The showdown occurs on Saturday July 14th at 11am at our normal field on Tipp Hill, and it will last several hours. Would you like to be known worldwide as the best bocce player in Syracuse? Want a crown, like this one? 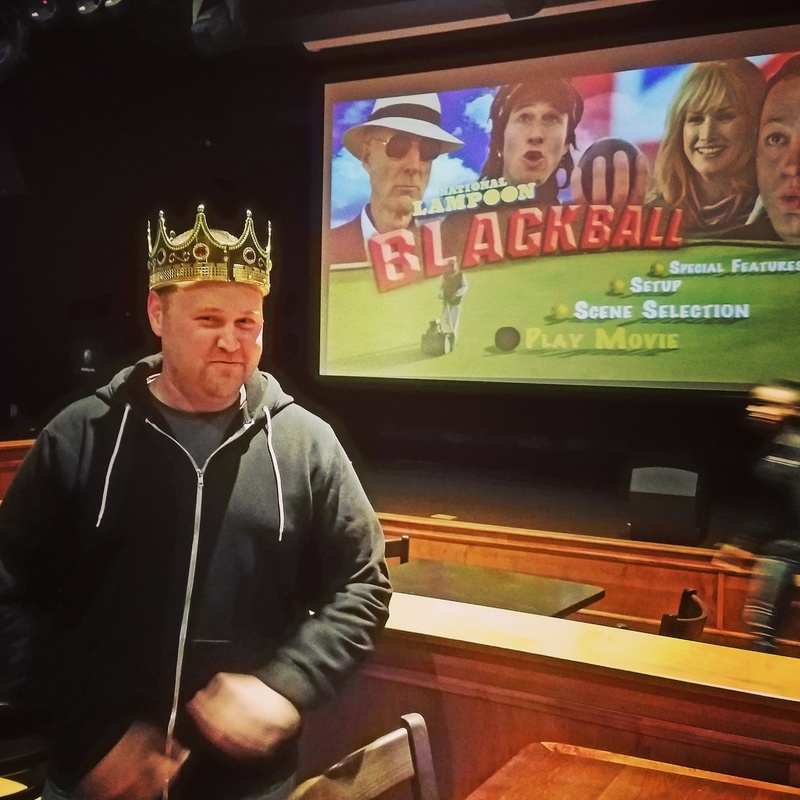 Bryan Mullane receives his triple crown award with the opening scene of Blackball on in the background. Today is September 21st, otherwise known as the last day of summer 2016. I’ve got to say that this summer was a great one for bocce in Syracuse. The Triple Crown standings not only serve as bragging rights for some, but as a way to relive the biggest moments of the season that has already past us by. It all started in late May, when the regular season got under way. We had a month to get ourselves in mid-season form as they say, and then the Triple Crown race began in July with the one-on-one tournament. One Last Day to Play Bocce Outside!